Tracker video analysis and modelling tool. Posted on February 13, 2011 by Brendan Jones Posted in teacherstuff	. 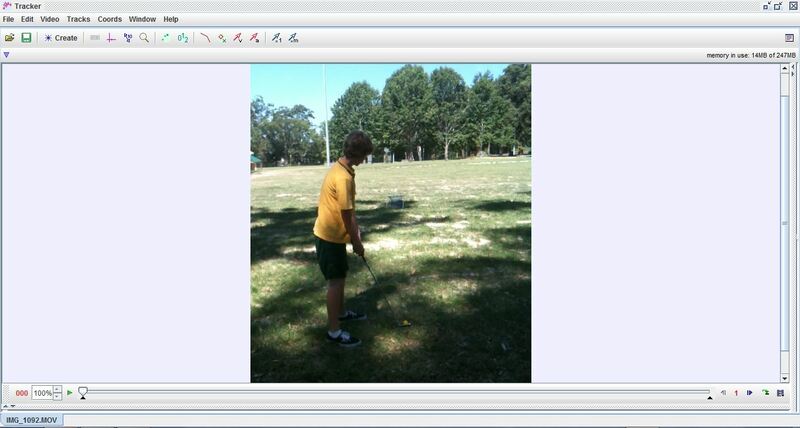 I’ve been playing around with a cool little app on the DER laptops that are in schools in NSW. 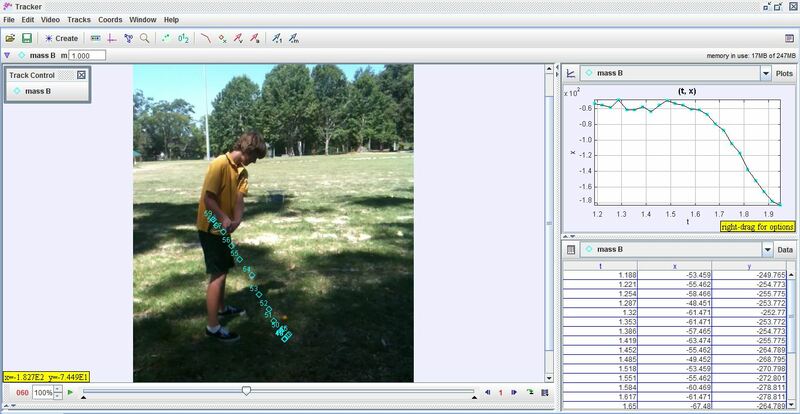 Tracker is a free video analysis and modelling tool, designed originally for physics classes, but perfect for analysing movement in PE classes too. While not being an uber sport scientist geek, I found the app to be easy to use and engaging for the kids. I shot some video of my students practising their golf chip shots. Importing the video is simple. The kids were intrigued to see their performances, and some great discussion about what a good shot looked like ensued. For the more technically minded, there are a variety of analysis tools that can be introduced over the video. I then used a video of a pro playing pretty much the same shot at the students for comparison. This produced a lot more talk! For those in NSW, the biggest feature that makes this eminently workable is that Tracker comes as a .jar file. This still doesn’t mean much to me at all, except that it doesn’t require installation to work. Which makes it a perfect tool in the DER laptops. So now I have two options for analysing video. Tracker (thanks @benpaddlejones for the heads up), and The Zone, as suggested and blogged about by @mrrobbo. Both great tools for PE GEEKS and their classes. Tags: analysis, DER, Tracker, video	.